Replacement blade that fits the Knife Blade Drive Housing (sold separately) for precise cuts through thicker or denser materials such as balsa, matboard, leather, craft foam, and more. Add texture and dimension to your projects. Designed to fit the Knife Blade Drive Housing (sold separately) for use with Cricut Maker, this replacement Knife Blade cuts through thicker and denser materials like balsa wood, leather, matboard, craft foam, Cricut Chipboard, and more. Enjoy clean and precise cuts with this premium carbide steel blade. 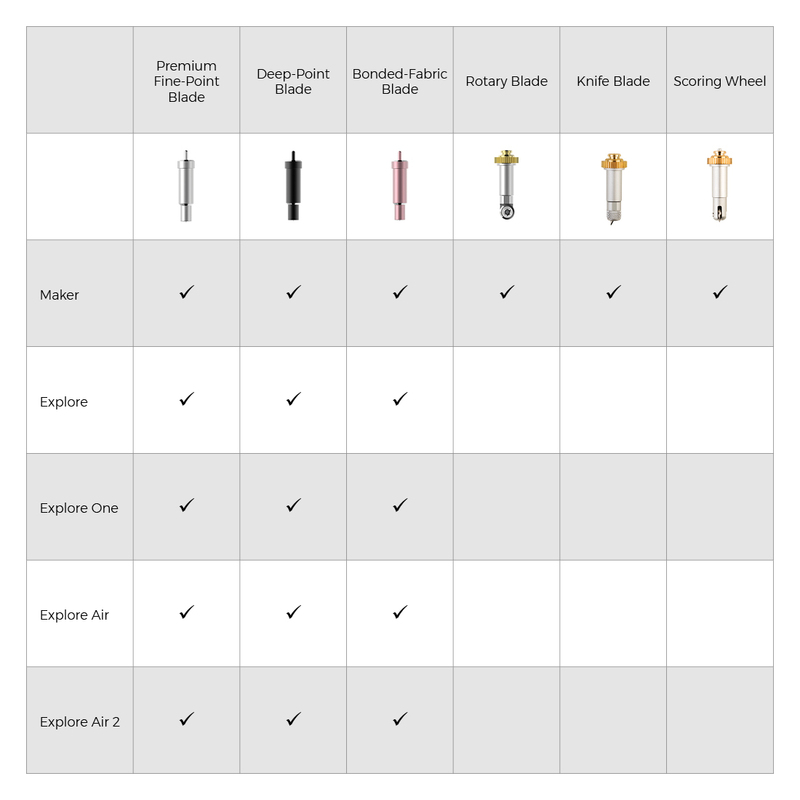 For more info on blade calibration, cutting times, materials, and more, visit help.cricut.com/knifeblade.